2018 is flying by and it’s already March, which means one thing – March Madness! And where better to cheer your team to victory than Las Vegas? Here, you can place your bets, build a bracket, or cheer for your favorite team in front of an extremely large TV. Whether you’re looking for a low-key spot to hang out with the whole family or the ultimate Las Vegas party, we’ve got you covered. Here are some of our favorite spots to grab a beer, take a seat, and root for your team during March Madness 2018. What do you get when you combine an open bar, all-you-can-eat buffets, and huge flat screen TVs televising March Madness? The Hoops Madness Party at Hard Rock! That’s right, a ticket to this ultimate viewing party will get you all of that, and more. Place your bets at the William-Hill Race and Sports Book while you sit back and enjoy one of Hard Rock’s many infamous cocktails or meals. Hoops & Hops at The Cosmopolitan is the classic Vegas sports lounge and party. Enjoy the competitive spirit around you as your cheer on your team from 12 stadium-style screens in 40,000 square feet of non-stop March Madness action. Plus, enjoy gourmet food offerings from the hotel’s acclaimed chefs. A family-friendly spot to catch all of the March Madness Las Vegas action is Nacho Daddy in Downtown Las Vegas. This locally-owned, modern Mexican restaurant serves up some crazy nachos that you have to see to believe (they guarantee you’ll never find a dry chip on the plate!). In addition, Nacho Daddy also has breakfast, Mexican-American dishes, and even a full vegan menu. Plus, there are plenty of TVs to watch the games. For an action-packed March Madness experience, check out the viewing party at Virgil’s. This private party will include premium viewing, an unlimited buffet, and complementary sodas and coffee all day. Jump on your tickets fast, you don’t want to miss this March Madness extravaganza! Get ready for a crazy party and some even crazier basketball at the Plaza’s March Mania Viewing Party. With 18 screens and two projectors, you won’t miss a play during the finals this year. Passes include a shirt and a food and drink item every day you’re there. The Golden Nugget is still offering VIP Viewing packages to their March Fever Viewing Parties, taking place the first four days of the madness. Move fast to get a guaranteed seat in the VIP Section, all-you-can-eat food, and four premium drink tickets. Whether you hang out for a day or spend your entire weekend there, The Golden Nugget will be pulling out all the stops from March 15th to the 18th. If you’re looking for a more budget-friendly place to catch the March Madness action in Vegas this year, look no further than the Stratosphere. With free admission to the Stratosphere Theater, there will be a full on party during opening weekend, from March 16th to the 18th. Surround yourself with the most intense basketball of the year with their nine huge theater screens. The party will also feature food specials, live betting stations and a cash bar. The D has a lot of great options for March Madness opening weekend this year. Their viewing parties are taking place from March 14th through the 18th in the 12th floor Detroit Ballroom. If you have six or more in your group and want to go all out, you can even upgrade your weekend with their “Man Cave” options. Each one is equipped with four 70” high-definition TVs and all-you-can-eat stadium-style food and beverages. You’ll even have a private cocktail server, so you can keep the party going all weekend! Obviously, watching the best college teams battle it out in Vegas would not be complete with betting. In your Man Cave, there’s live casino sports betting, craps, and blackjack just steps away. You’re sure to score at these March Madness 2018 viewing areas all around Las Vegas. 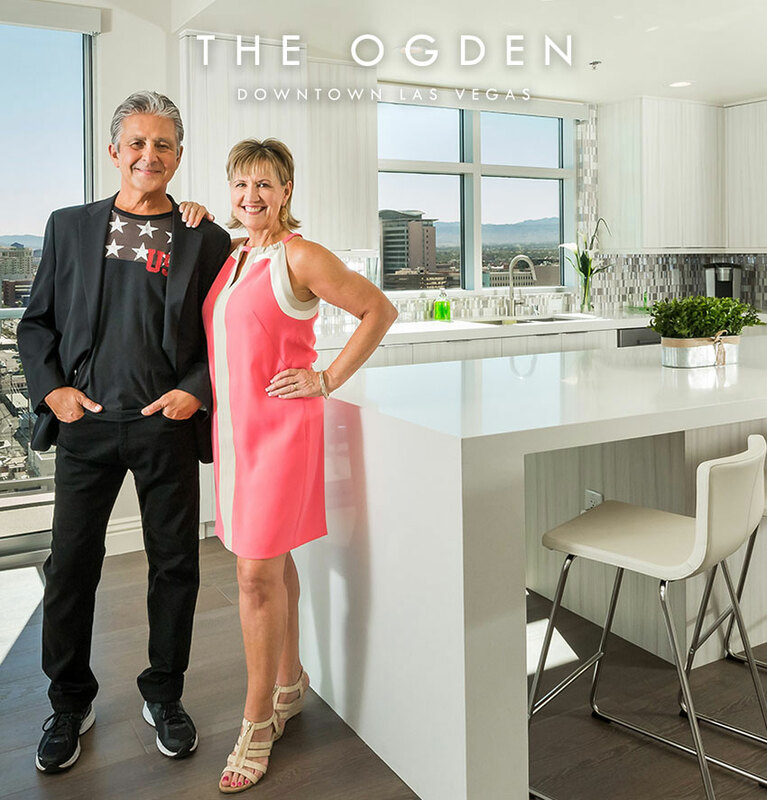 Whether you’re in the mood for a mega-party, a laid back family vibe, or just something steps away from your Ogden home, Vegas has a spot for you.